home - blog - Wool - Find Out Types And Benefits of Wool! Find Out Types And Benefits of Wool! Do you own anything made of wool? A sweater or maybe a throw? And do you know the difference among various types of wool – sheep wool, merino and alpaca wools? What qualities does every sort of wool have and why prices are different? Wool is the fiber that grows on the body of a certain animal – sheep, goat, camel, rabbit etc. It replenishes itself each time the animal is sheared and continues to grow throughout its lifetime. It is also the word we usually use when we talk about fabrics that are made out of fleece of these animals. Each type of fleece is different and therefore every wool fabric has its own properties. Sheep’s Wool. It is traditional wool that can be made from any sheep fleece. Merino Wool. Merino wool is taken from a Merino Sheep and has fine, soft appearance of the fabric. It is quite expensive. The distinction from other types of wool is its resistance to pilling. Mohair Wool. Mohair is taken from Angora goat. It is not very soft and many people find it a very itchy fabric to wear directly next to the skin. Angora Wool. Angora wool is made of an Angora rabbit hair. Its main quality is its fluffy surface texture and its soft touch. It is expensive, as it comes from a specific breed of rabbit. To improve fabric stability Angora is often blended with Nylon. Cashmere Wool. 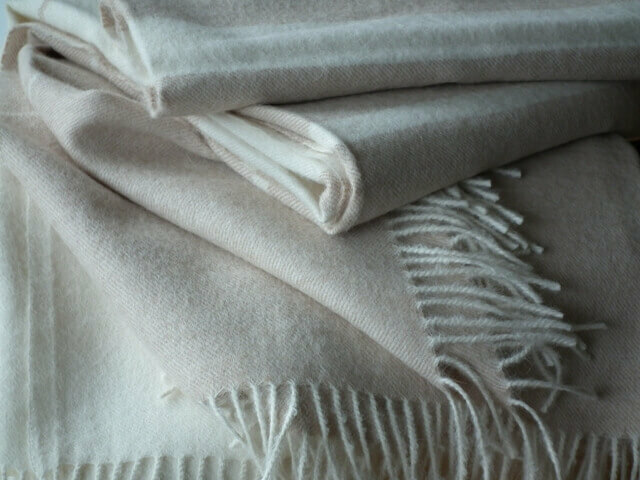 Cashmere is soft and luxurious fabric. The fibers that are used to make cashmere come from specific areas of the fleece of a cashmere goat, and that is why it is so expensive. Alpaca Wool is made from the hair of Peruvian alpacas, but it also also can come from similar fibers of mohair, Icelandic sheep or even high-quality English wool. 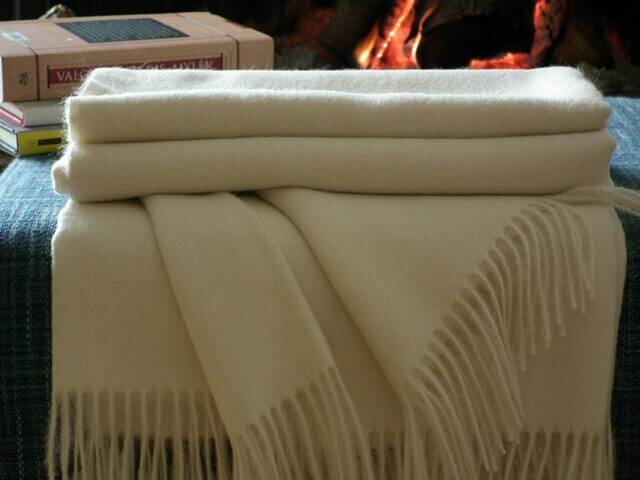 Alpaca fleece is a lustrous, silky, soft and therefore luxurious natural fiber. It is warmer than usual wool, not prickly, and bears no lanolin, and therefore – hypoallergenic. The common benefits of wool fabrics are those – they are natural, warm, easy taken care of, and they breathe. Wool fiber is resilient and elastic. It can be bent more than 20,000 times without danger of breaking or any damage. Because of a complex cellular structure it can absorb moisture vapor, but repel liquid. There is no synthetic fiber that could combine all of these characteristics. Wool absorbs dyes deeply and directly without any use of chemicals. Because of this, wool can be dyed in beautiful, rich colors. Wool is an absorbent fiber and therefore is comfortable to wear in both warm and cool climates. When the air is warm, wool takes up perspiration and keeps a layer of dry insulating air next to the skin. When the air is cold and damp, wool absorbs moisture and keeps a layer of dry insulating air next to the skin. This makes the body’s natural warming and cooling system work better. Wool products are a great investment. Since wool fibers resist piling, snagging, and breaking, wool items typically outlast synthetic ones. Unlike many artificial fibers wool naturally resists flaming. Wool does not melt and stick to the skin when on fire (like other fabrics) but usually smolders or chars instead of bursting into flame. Although intense fire would burn wool fabric, when the flame source is removed it normally self-extinguishes. The itchiness of wool that some people experience is related to fiber diameter. Many people experience discomfort if more than 3 to 4 percent of the fibers are over 28 microns thick. Wool can be treated with chemicals or blended with other fibers to remove the itch factor. It is always recommended not to wash your wool items in a washing machine or dry in a drier. Most manufacturers recommend dry cleaning woolen products although some garments or textile can be hand-washed and some even laundered by machine. Always check the care label. – Clean wool fabric using lots of cool water and a mild detergent in lukewarm water. Never use hot water! – Put the garment or textile item in water and soak for 3 to 5 minutes. Gently squeeze to allow water to penetrate the fabric. – Rinse thoroughly with cool water. – Squeeze gently to remove excess water. Do NOT wring the garment. – To dry, lay your item on a flat surface, reshape it if necessary and then allow to dry. Do NOT hang to dry (this will cause the wool fabric to stretch). Do not use a drier (this will cause the shrinkage)! 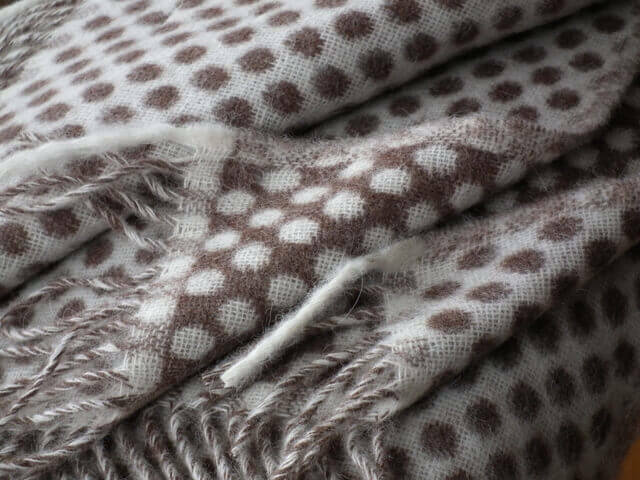 With proper care woolen clothing or throws and blankets will look great for years. Very atractive lines are written here . It helps me a lot for my summer holiday homework. I will always use this site for my homeworks and Thank you a lot for my help. And do not lay your wool sweater out in the sun to dry. 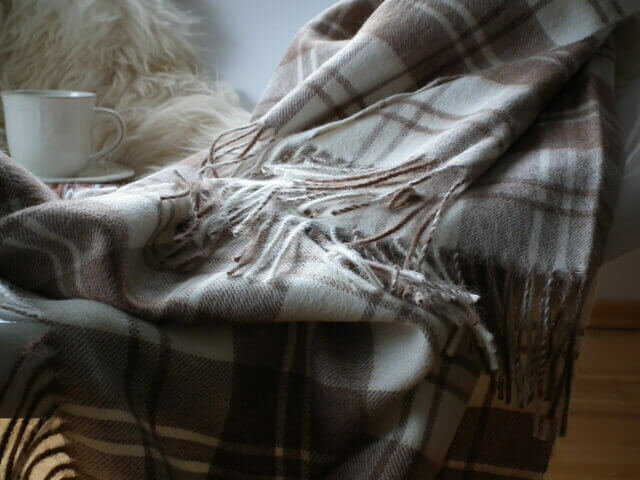 It is very nice to find out amazing facts about different kinds of wool that can make any sort of thing like blankets,scarves and beanies so thanks for the info. Angora wool can also come from angora goat. There doesn’t seem to be much out there about Wool. Thank you for the types of wool, found it really interesting to read. My brother suggested I would possibly like this web site. He was once totally right. This put up actually made my day. You can not believe simply how so much time I had spent for this information! Thank you!